For beginners or those who are looking to Forex trading as a secondary source of income, LiteForex could be an ideal choice. This is because LiteForex is an online Forex broker in which it offers a wide variety of services and facilities online. This include listings, signals, related information and any other resources to help individuals who are looking to enter Forex trading. Meanwhile, HotForex is one of the best online Forex brokers around. 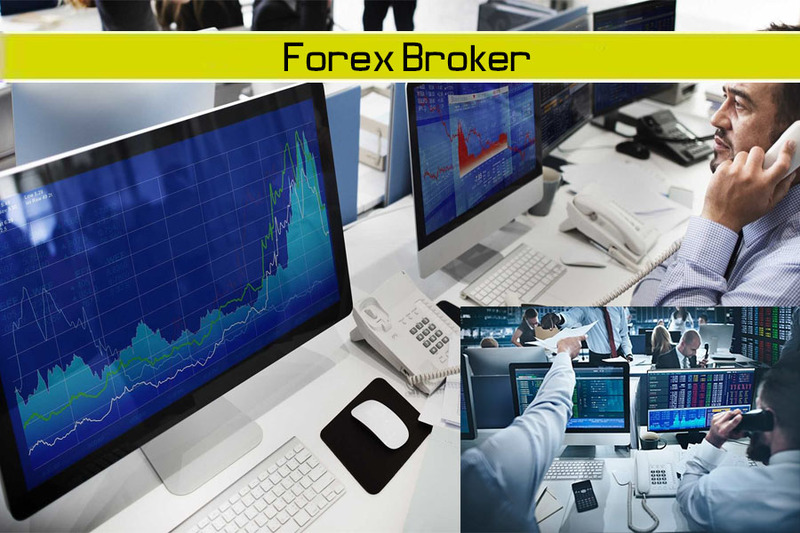 The company is based in Mauritius where traders are able to access the interbank facilities through the MetaTrader 4 platform. HotForex provides services that are applicable to the Forex market. IronFX is among the many brokers in the market offering foreign exchange trading services online. The company was established in 2010 in Cyprus. As such, it has acquired authorization and approval from the CySEC or Cyprus Securities and Exchange Commission. Besides that, IronFX is regulated by the FCA (Financial Conduct Authority and is approved by the Australian Securities and Investments Commission or ASIC and the South Africa’s Financial Services Board. It offers a full range of investment engines including their own research app which provides users with the relevant tools and resources to carry out any form of study before investing. Markets.com is an online investing platform which is available in 5 languages. The site was launched back in 2010 is operated by Safecap Investment Limited. The company is regulated under the CySEC and is a registered broker with the FCA as well as several other licensing bodies in Europe and South Africa. It started out as GFC Markets before changing its name to Markets.com after the company merged with TradeFX. To date, it offers a full range of foreign exchange services which are available both on the web and on mobile platforms. Among its most popular association is with Arsenal Football Club where it is the official forex and CFD trading partner and sponsor. AvaTrade Forex has a reputation of offering a rich automated trading service through its software. By offering a full range of services and functions, customers can save a lot of money without needing to pay for these software where they only need to engage AvaTrade. This includes AvaTrade’s Ava AutoTrader system that comes with functions where the customer could devise their own forex automation solution. Besides that, AvaTrade offers the ZuluTrade system, among functions for indication and analysis. It runs on the MetaTrader 4 platofmr which is among the most renowned in the market, providing users with a user-friendly interface. UFX Markets have been around since 2011. Among the many brokers, it might be one of the youngest but has already been established to be among the best. UFX Markets is based in Cyprus where it is regulated by the CySec there. UFX Markets has the reputation of being one of the safer options and is available online in more than 10 languages. Its focus is on many types of traders, offering a user friendly interface for even the most novice of users while the amount of deposit is very flexible as well starting from its micro accounts for those wanting to trade from $100. ETX Capital is owned and operated by Monecor (London) Limited trading from the United Kingdom. It was founded in 2002 that offer online foreign exchange trading, spread betting and CFDs. In the UK, it is among the leading providers of these services where it is regulated by the FCA there. Monecor was actually incorporate in 1965 making it one of the oldest names in this market. What ETX stands for is actually Electronic Trading, Telephone Trading and Execution Services which are what ETX Capital excels in. Its platform comes in various languages through its MetaTrader 4 engine which has already won numerous awards. Plus500 has been offering online forex trading services since 2008. This international online firm mainly deals with contracts for difference services where its headquarters is in Israel. Besides that, Plus500 operates in offices across the world including Bulgaria, Singapore, Australia, Cyprus and in the United Kingdom. As such, it is regulated by the CySEC and the FCA and various other monetary authorities particularly in the markets it is in. Listed on the Alternative Investment Market of the London Stock Exchange, traders are able to use the services involveing not only forex but in commodities, options, indices and others. Founded and established in 2010, FXCC is an online forex trading platform which was the brainchild of a group of market professionals in the foreign exchange market. They used their experience in this money market to provide high quality standards by building the company, offering easy-to-use and efficient services for its customers. FXCC is based in Cyprus where it offers 2 main trading platforms that are available in up to 9 different languages, making it easily accessible for investors in various continents. It uses the industry standard of Meta Trader 4 which is accessible via desktop PCs, tablets and smartphones. The Exness Group started out in 2008 aiming to offer the best trading needs via an online platform for its customers. The main trading market through Exness is on the foreign exchange sector where it is catered for people from all walks of life and level of understanding. Known for its reliability and convenience, Exness provides customers with their platform that runs on MetaTrader 4 which comes with analytics and auto trading functions. Its MetaTrader 5 meanwhile is available which can be accessed via smartphones and mobile devices running on Macintosh, iOS and Android. eToro recently announced its sponsorship for English Premier League team West Ham United. This social trading platform provides online forex trading services for customers across the world. Established in 2006, eToro is registered in Cyprus, the United Kingdom and in Israel. The company was actually founded in Tel Aviv which was then known as RetailFX. Among its flagship services include the eToro OpenBook social investment platform while it is among the major pushers of mobile trading when it released its first mobile app for the Android platform. Its main office is in Israel while being very active in major markets in the UK and Australia as well as in Islamic Forex markets. Founded by a group of financial experts, NSFX is an online trading platform under the NSFX Ltd group. It offers a wide range of investment services which are available for both individuals and corporations through its expertise and networks with major players in the financial markets. NSFX mainly operates within its 3 core areas namely; Excellent Trading Conditions, Innovative Trading Platforms and Innovative Trading Tools. It is regulated in Malta where the platform offers services in various languages including Arabic, Italian and French. The platform provides a user-friendly interface which makes trading very easy for customers, both new and seasoned. XM prides itself as one of the top online forex trading platforms in the world. The records speak for itself with more than 1.5 million clients across the world, this company has grown tremendously since it started in 2009. Made up of over 300 financial professionals, XM is set and ready to offer the best trading services for its customers. The support system comes in more than 30 languages which very much cover most of the major languages in the world. Besides an industry standard platform, XM offers more than 25 payment methods within its 16 full feature trading platforms. SunBirdFX is one of the newer players in the online forex trading market. Started in 2008 in the United States, it is often regarded to be a smaller player but has been very impactful ever since. Its platform comes in various languages which comes within its MetaTrader 4 engine. Besides that, they are using the Zulu Trader system as well while it offers new customers with a demo account to try out before committing with real money. Its interface is very easy to navigate which is very straightforward, making it extremely easy and comfortable for the newer users. Like most other online forex trading applications, the MahiFX runs on the MetaTrader 4 platform. This company was launched in 2012, making it one of the newer additions to this already-crowded market. Its first product is known as the MFX Trade which saw the company extended to more powerful tools through MFX Compass some 2 years later. As the wave continued, MahiFX launched its third product 2 years after that with its MFX Vector which is an easy-to-use and very intuitive application for traders. Besides that, MAhiFX provides all other related tools including analytics and reporting to help traders understand their investments better.